Just click and hold! You have to reach the aim at any rate. This line must be really long. To avoid obstacles you have to click any button and hold it. We promise you that you will be not disappointed! It so cool to play this game! If have a bad mood or just worked the whole day really hard, this game is yours! Click and hold to grapple or use spacebar then time your release to go as far as you can. 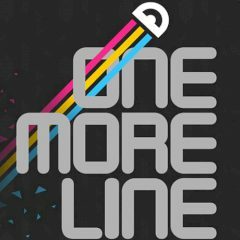 What is your high score in this fun skill game One More Line. Use your rope to pass obstacles as you try to build the longest thread possible. Much fun! Are you already fascinated? Just have faith in yourself and you will be really surprised! We wish you good luck! This is the time to enjoy the game!